It's been almost two decades since In Flames altered their sound from melodic death to alternative metal, yet with every upcoming release, fans of the original material still hope for a reversal of this evolution. Did the Swedish pioneers pay tribute to their legacy by finally offering fans a nostalgic taste of the past? No, of course not. At this point in their illustrious and highly debated career, In Flames have released more albums as an alternative metal outfit than they have playing melodic death metal, and things are no different on this 13th full-length, I, The Mask. There isn't much to say about I, The Mask that hasn't already been said about In Flames since the band veered toward a more commercial sound. The brand of metal they've been churning out over the last 15 or so years is so formulaic, it's difficult to differentiate. The tracks are polite, predictable, well-packaged, easily sold and effortlessly consumed — the perfect product for casual listeners. I, The Mask isn't hopeless, however. The album is certainly an improvement relative to its three most recent predecessors — unfortunately, that's not saying a whole lot, as those three are unanimously considered to be the band's worst. One thing I, The Mask does do well is maintain a lyrical theme throughout, one that is somewhat compelling, too. The album offers some astute social commentary that doesn't come across as sanctimonious, and the overall theme does tie the final product together nicely. The album is also pretty catchy. 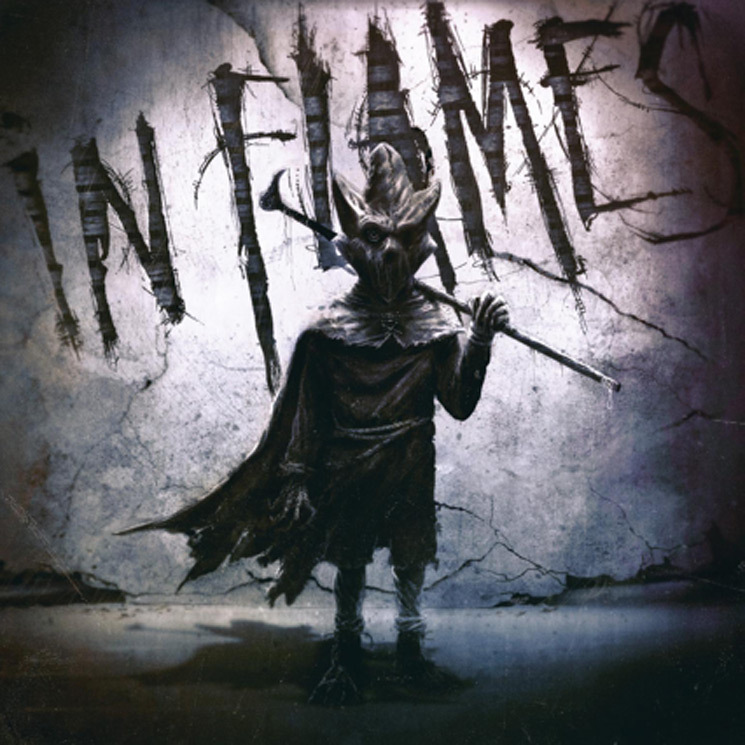 In Flames have, after all, built their entire sound and legacy around their unparalleled guitar melodies and harmonies, all of which I, The Mask does do well, In Flames have done before and with better results, making this release feel kind of superfluous.